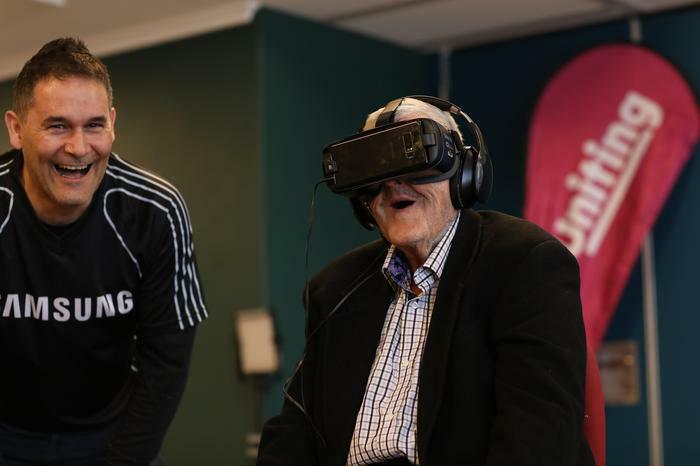 Samsung Electronics Australia and Uniting – which operates a number of residential care homes across NSW and the ACT – are partnering to provide dementia patients with virtual reality and 360 degree video experiences. 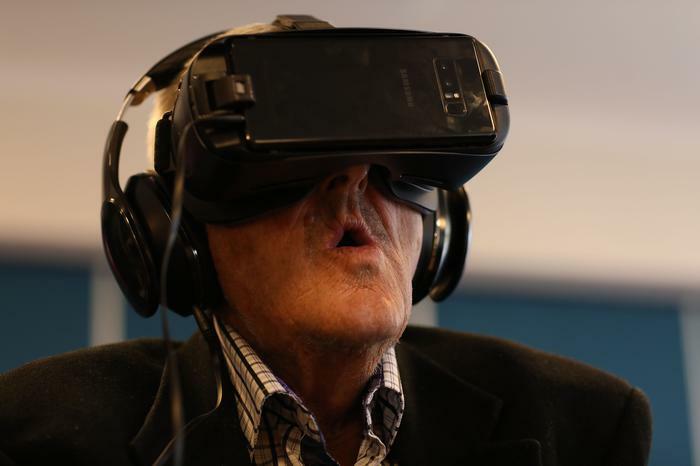 The aim is for residents at Uniting aged care homes to “tick off their bucket lists” by experiencing places and events via Samsung’s Gear VR headsets. “Residents at each home will be provided the opportunity to select an experience from their personal bucket list that they have yet to achieve, with particular emphasis on experiences they have longed for or did not think possible. Samsung will then source virtual reality content that responds to their request for them to enjoy,” explained Martin Brown, head of alliances and partner solutions, enterprise mobility at Samsung Australia. Five Uniting aged care facilities are involved in the pilot: Annesley House in Haberfield, NSW; Uniting Wontama in Orange, NSW; Uniting Caroona Jarman in Goonellabah, NSW; Uniting Amala in Gordon, ACT; and Uniting Bowden Brae Gardens in Normanhurst, NSW. At Annesley House last Wednesday, residents chose experiences including orbiting earth from space, a trip to the Grand Canyon, and a walk through a Canadian Redwood forest. Uniting carers will also be using the headsets to experience what it is like to live with dementia using content developed by Alzheimer’s Research UK. Uniting – which operates more than 85 residential aged care homes across NSW and ACT – hopes to give carers a deeper understanding of the stress, confusion and disorientation that residents experience so they can improve care plans and their interactions with these residents, it said. 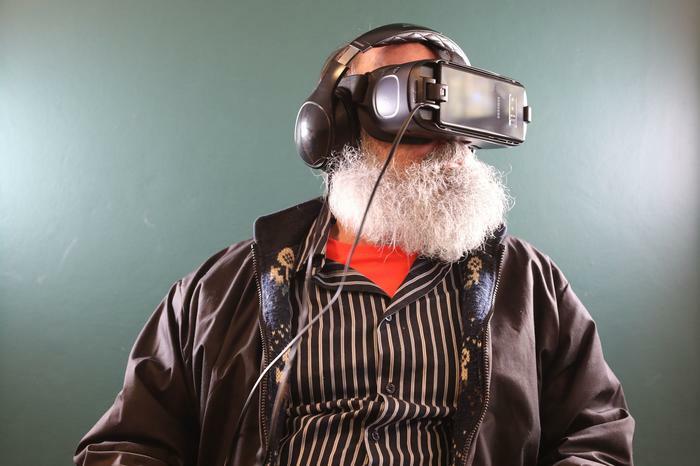 Virtual reality is considered an effective tool in the training of dementia patient carers. Last month Dementia Australia rolled out its hugely successful virtual reality based training workshops nationwide. The ‘Enabling EDIE’ workshops use a virtual reality app developed by researchers at Deakin University run on Samsung Gear VR headsets, which puts participants in the shoes of Edie – a 65-year-old man with dementia who wakes up in the middle of the night in bed with his wife, needing to go to the bathroom. “Particularly for people who are working in aged care, and the families of people with dementia, you can put up a list – ‘these are the issues’. You can put up a slide and they go ‘yep I get that’,” Dr Tanya Petrovich, Dementia Australia’s business development manager told Computerworld in June. “But when you bring all these things together, and experience all those symptoms first hand. Ticking them off a sheet is easy; to actually experience them is another thing.Understanding another person’s point of view is a lot easier when you’ve walked in their shoes,” she added. In Australia, an estimated 1.2 million people are involved in the care of people with dementia, and more than 425,416 people live with dementia. With an ageing population, this number is expected to increase to 536,164 by 2025 and almost 1,100,890 by 2056. More than half (52 per cent) of people living in permanent residential aged care have dementia.